When it comes to designing a small bathroom, it's important to remember that nothing gets the creative juices flowing like a few limitations! The very smallness of the floor space is, admittedly, difficult to approach. But this kind of limitation has pushed many an interior designer out of their comfort zone and led them towards a more unique bathroom design. Not convinced yet? Well, come with us to check out 5 small but distinctive bathrooms. We bet something here will help you look at your small bathroom with fresh eyes! 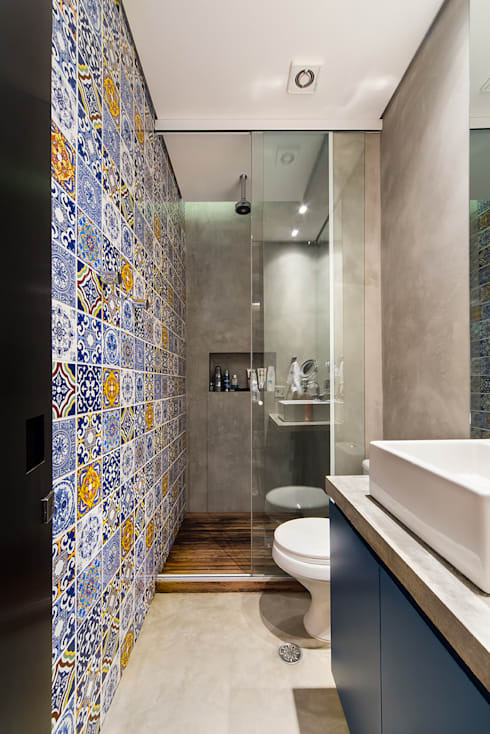 This small bathroom is really just one passageway so the designers have stripped down the design to create one central line. 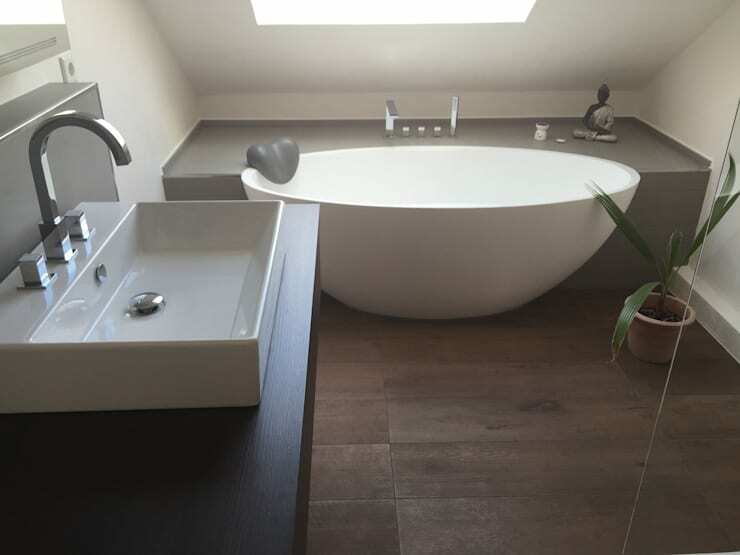 There are no extraneous details and the wash basin area simply reflects the lines of the room. The distinction comes from the decorative tiles on the walls. They don't take up any floor space but add a lot of style. No one could argue that this bathroom isn't small. And yet, the designers have managed to fit a bathtub into it! Like many small bathrooms, this one is windowless and could easily have felt dark and sombre. The solution? 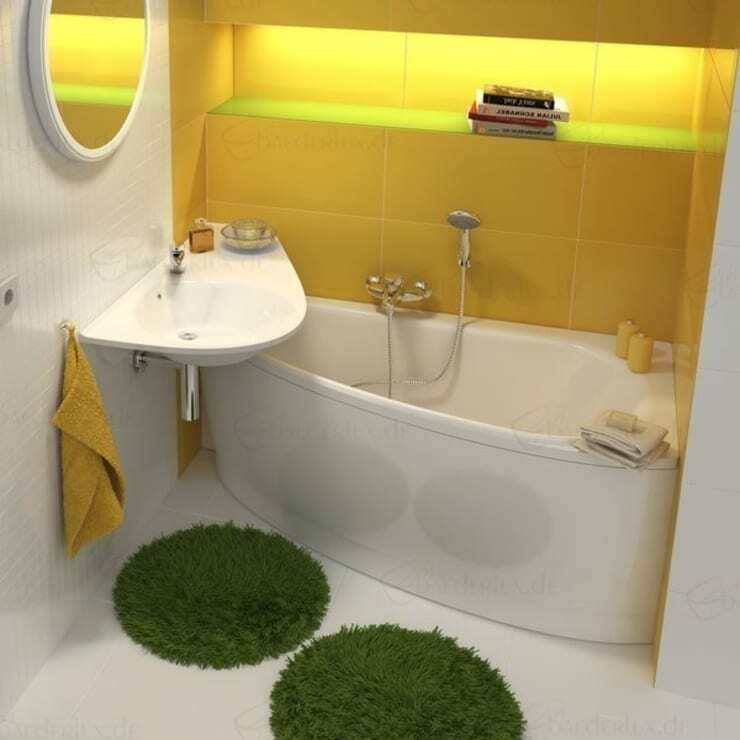 A canary yellow colour, gorgeous strip lighting on the shelf and some bathmats that look suspiciously like living grass mats. 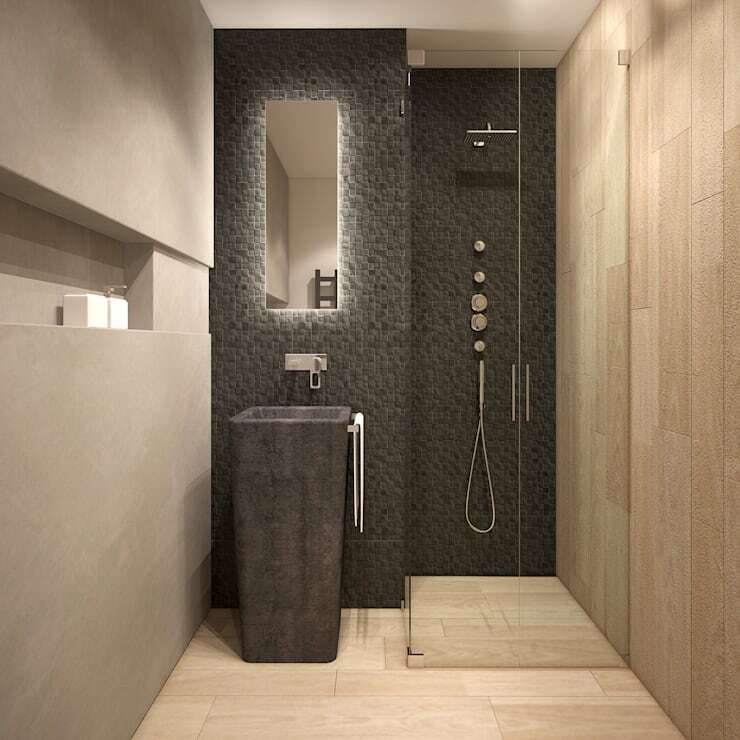 Budding small bathroom designers are often warned to avoid using dark colours. But this bathroom shows how it can be done well. The dark grey colour is limited to one side of the room and it's teamed with an incredibly light design. The shower is wet room so there's lots of light flow through the transparent glass and the rest of the design is totally clean and minimalist. Finally, note how the texture of the dark stone adds lively interest to the room. Small bathrooms are often awkwardly shaped. While a triangular corner can often be used to create a big shower room, a lowered ceiling height can be used to create a bathtub area. The head height isn't an issue and it could also even provide space for a little skylight. This super cute little bathroom has some fairly wild tile designs. This kind of thing could easily be a little too much. But when it's combined with great lighting, an uncluttered design and a great big mirror you have a little bathroom with a lot of distinction. Finally, check out the table-mounted wash basins we have seen today. This kind of design can be combined with a storage unit to keep up those clean uninterrupted lines of sight in a small bathroom. There is plenty more small home inspiration in store for you here at homify! Take a look at 10 small home facades to inspire you. What do you think of the small bathrooms we have presented today?